Is the Sandy Hook Shooting Another Crime of Fatherlessness? 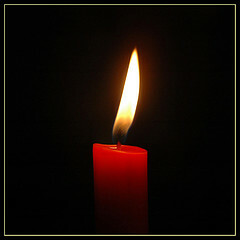 In the wake of the horrific tragedy in Newtown, Connecticut, our nation is collectively mourning and trying to figure out how something this terrible could happen. While it is not our job at NFI to figure out how to solve issues around gun control and mental health treatment, we would be remiss not to point out that once again, like in so many tragedies of this nature, there appears to be a significant “father factor” at play. As we learn more and more about the troubled life of shooter Adam Lanza, it appears that the divorce of his parents had a significant, negative impact on his life. It is becoming clear that Adam Lanza suffered from some sort of emotional or psychological disorder that has not yet been specified. It also appears that this mental disorder contributed significantly to the heinous crime he committed. However, we know from research that children from father-absent homes are more likely to have emotional problems and are also more likely to commit crimes.According to this news article, he took the divorce especially hard – “The break up was traumatic, leaving the couple's sons devastated.” His father, Peter Lanza, had moved out and remarried in 2009; and although he had legal access to his child, he had not seen him in 6 months. In other words, there were no legal barriers preventing him from seeing his child, but he had not seen him since June. Adam Lanza was not alone in this – fully one third of children from father-absent homes never see their dads, and another third only see them once per month*. This blog has written several times about the father factor in mass murders (the Aurora shooting, the D.C. sniper, and Chardon High School, the Norway terrorist, and Tucson), and the patterns we see in each and every one of these cases is eerily similar. Had Peter Lanza been more involved in his son’s life -- helping him deal with the mental anguish it appears he was going through -- would things have turned out differently? Sadly, we will never know. For now, all we can do is mourn with the families who were affected by this tragedy and start to work together to devise solutions that will reduce the likelihood of this sort of tragedy happening again. And certainly, part of the solution needs to be to ensure that all children have involved, responsible, and committed fathers in their lives who can help them navigate a difficult world, one that is especially difficult for the mentally ill.